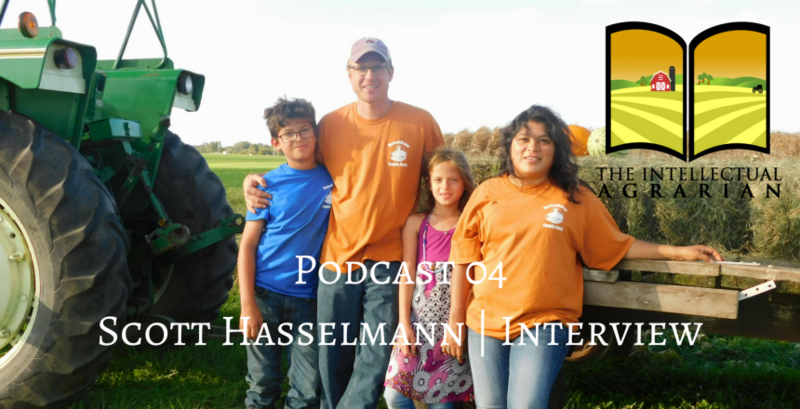 Today’s guest is Scott Hasselmann of Hasselmann Family farms. Their farm is an 80 Acre diversified crop and livestock operation that sells all their products direct to market. We’ll talk about pastoral agriculture, making your own livestock feed, and the local community and more. You can listen to the Podcast or subscribe by clicking the convenient links below.